Will Ferrell and John C. Reilly have finally found the movie to bring their comedy partnership back to the big screen in Sherlock Holmes-based comedy knockabout Holmes And Watson. The film has just added the first new cast member, with Jurassic World's Lauren Lapkus aboard. Last seen stomping all over Jake Johnson's romantic ambitions in the dino film, Lapkus is joining the Holmes cast as Millie, a young woman with a mind as almost as sharp as the great detective himself, and someone that both intrigues and worries him. Quite how the film - written and to be directed by Etan Cohen - will draw from Arthur Conan Doyle's work is anyone's guess, though we would expect some buffoonery given the main duo. According to Deadline, the movie should be starting production after the Thanksgiving holiday that happens next week in the States. 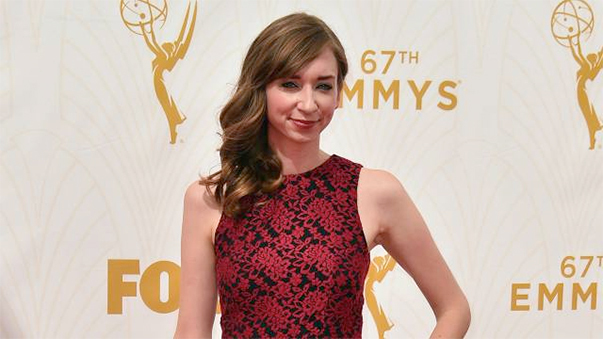 Lapkus has most recently worked on Judd Apatow and Pete Holmes' new HBO series Crashing, which should be on screens next year. Will Ferrell and John C. Reilly will be Holmes and Watson. Credit to James White of the Hollywood Reporter. Source.